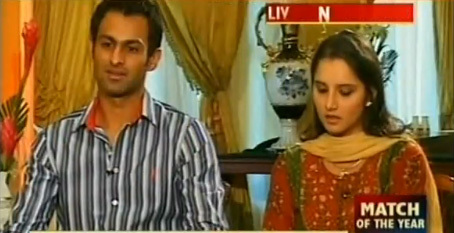 Here is a video of first exclusive,astonishing and frank interview of newly wedding couple Sania Mirza with Shoaib Malik after marriage. Although we have already posted some articles on Shoaib Malik and Sania Mirza Engagement and Sani Miraza and Shoaib’s Weddings Ceremony, this post is unique and original. In this video newly married couple looks gorgeous and very attention-grabbing and just nice to look at. Let’s have a look at this interview discussion video.